PPR Value Picks: Nyheim Hines The Colt's RB To Own? PPR Value Picks: Nyheim Hines The Colt’s RB To Own? Choosing PPR running backs requires a slightly different draft strategy than standard leagues. Some big name players are not worth as much because they are not involved in the passing game. Even fantasy football veterans can be blinded by name brands, however. 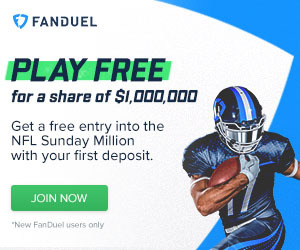 This leads to some great deals on lesser known running backs. The Titans have stated that they want Derrick Henry to get a lot of carries…ok, cool. While the bruiser is taking care of business between the tackles, Dion Lewis is going to be racking up yards of his own. Everyone knows that Lewis is a nightmare in the open field. He is going to put up bunches of points in PPR leagues. On top of that, he is underrated as a pure rusher. The Titans one-two punch is going to be extremely valuable in 2018, but Lewis is available at a discount. Right now, his ADP is RB28, one spot ahead of Tarik Cohen (great article on the risk of drafting Cohen). There is no certainty to be found in the Eagles running back situation. They have talent stacked to the rafters on offense and to an extent, game script dictates who produces. Jay Ajayi has the ability to play all three downs, but he won’t. Doug Pederson has stated that he will be utilizing all running backs, and I believe him. What I do not believe, is that Darren Sproles has enough left in the tank to be a factor. By midseason, this is going to be a two man show with Ajayi and Clement carrying the load. As the more natural receiver, Clement will handle a lot of passes making him a value pick in PPR leagues. His current ADP is RB44 and that could be a steal. Nyheim Hines could be the most valuable running back on the Colts' roster. Gore has been a steady producer in terms of fantasy, but his real life utility was limited. Despite the excitement surrounding Marlon Mack last year, he did nothing of note. 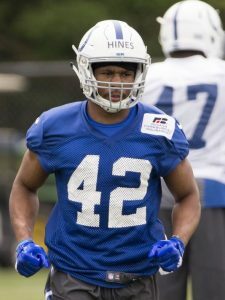 Enter the dynamic Nyheim Hines, ready to carve out a huge chunk of the Colts’ running back snaps. For the moment, Mack is being drafted as the starter (RB31) while Hines is sitting at RB46. There is zero chance that Mack is suddenly a three down back and worth his ADP. Hines has tremendous PPR upside and could be the most valuable piece of the Indy backfield when all is said and done. Is Tarik Cohen Worth His ADP? Ballage is a monster of a running back at 6’1” and 228 lbs. Despite his impressive stature, he has soft hands and great burst out in space. Many pundits have been down on Ballage because he did not produce at a high level in college. For my money, he seems like a back that could make a huge difference if he is utilized properly. He has a similar size and skill set to Matt Forte and could be putting up serious numbers a few weeks into the season. I like Kenyan Drake a lot, but his coach does not seem to share the sentiment. That leads me to believe that Ballage is going to get some chances to show his stuff. In a PPR setting, there is some serious room for profit if you can get the rookie anywhere near his RB57 ADP. The Jets offense has a lot of new faces this season, but McGuire is not one of them. During the early part of his career, McGuire has been buried behind a combination of Matt Forte and Bilal Powell. This season he is still behind Powell and new starter Isaiah Crowell, but there is some hope. Powell is getting older and it sounds like McGuire may have the inside track to passing down work in his second season. The Jets' running back coach Stump Mitchell seems particularly impressed, saying "I’ll tell you who I see Eli as — and he’s in the Hall of Fame. Eli has the skill set to be a LaDainian Tomlinson if he was given that opportunity." This praise is a bit over the top for a second year man with limited experience, but it shows that the team believes he can be a major contributor. A variety of explosive players occupy the Saints offensive playbook. That makes it tough for a new face to come in and make a big impact. The Saints have signed veteran pass catcher Shane Vereen, however, and the move merits some attention. Young star Alvin Kamara obviously will get the most attention in the running and passing games, but Mark Ingram will miss the first four games due to suspension. If Vereen is able to make the roster cut, he could have at least four weeks of valuable touches with Drew Brees at the helm. Pay attention as drafts approach, Vereen could be a last pick of the draft type that yields dividends early on. Come back soon as draft prep articles continue to come out over the summer. Football is just around the corner, so be sure to stay on top of the news. For some extras, follow me on Twitter @brendancole16. Category - Fantasy Football Sleepers - PPR Value Picks: Nyheim Hines The Colt’s RB To Own?